By bpNichol. Illustrated by Jerry Ofo. 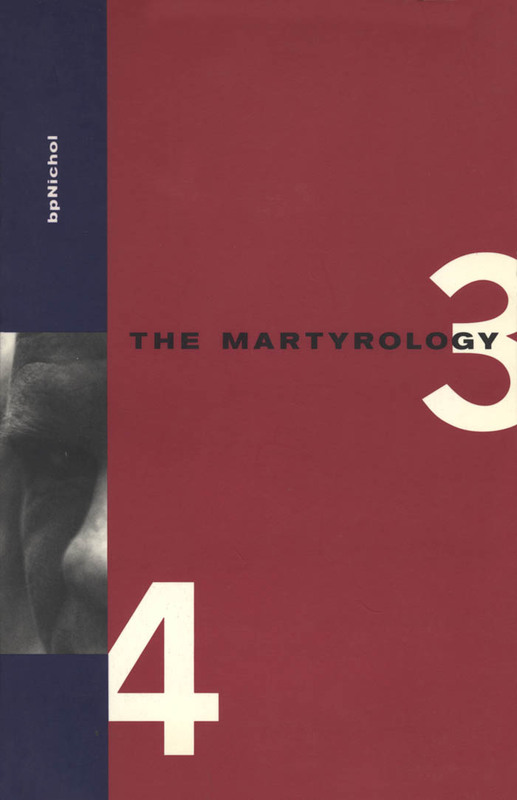 The Martyrology Books 3 & 4. 1976. Facsimile Edition, Third Printing. Toronto: Coach House Books, 2000. From the Colophon: "First printed in the autumn of 1976 in Bembo type in an edition of 1500 copies. Another 500 copies were printed and bound in April, 1993 by the printers at the Coach House, 401 Huron Street, Toronto." First Publication Date: 1976 ?